Some words from Roger on God’s History as part of Living the Woven Cord series in the run up to Easter. Click here to listen to last week’s talk by Roger (Part 1 of the series). God is Trinity and the beautiful, relational unity and love expressed within the divine three in oneness show us the way in life. That the God of power and creation expresses his true nature in suffering, humility and selflessness (incarnation, cross) and his glorious and loving power through resurrection and ascension (salvation, rescue of humanity) is truly incredible. The Father and Spirit release the Son to go. The Trinity changes forever as the Son is ‘made flesh’. The Son who created all things limits and humbles himself ‘becoming human’ to reach out and save. On the Cross, God experiences death. The Father suffering the heartbreak of letting the Son go, suffers in and with Jesus on the Cross. Jesus suffers separation from the Father and the Spirit as he is overtaken and overwhelmed by all the evil and sin that ever has been and ever would be. The Spirit hovers, sustaining the whole of the earth, able to rescue the Son in an instant, yet holding back, sharing the desolation of the Father, the alienation of the Son and together with the Father and Son experiencing a loneliness, separation and darkness. All this to break the chains of death, sin and evil around creation and humanity once and for all. Jesus liberates humanity from slavery by paying the price of our redemption. In this act Father, Son and Spirit are total participants, in different ways, showing an unwavering love and sacrificial commitment to humanity. God, the Trinity held through the darkness, knowing that in the resurrection he would again show his power, the Father and Spirit raising the Son who has now destroyed sin and evil. Once again they would be restored and together but never the same. Jesus then ascends in bodily form to the right hand of God, alongside the Father, taking our humanity with him. Our lives can now be truly ‘hidden with Christ in God’. The glory of humanity, lost in Adam, now restored in the second Adam. The Spirit is now released on all humanity and the drama of God’s salvation enters its final act. We are now part of the adventure and cast, shaping the flow and detail of the plot as it heads towards it’s predestined conclusion. 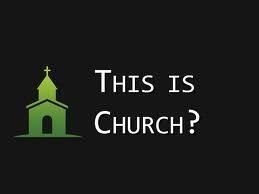 The renewal movement of the 1960’s and 70’s gave rise to the emergence of the New Churches. In one sense they were ‘planted’, however these Churches had little intentional strategy at first, but ‘fellowships’ and new Churches emerged in most cities, towns and some village settings during this period and into the 80’s as Apostolic Networks were built. The 80’s and 90’s saw the Dawn Church Planting movement and also the emergence of other networks both in and outside of the historical denominations. At this stage intentional strategized church planting became the norm and most historical denominations, new churches and emergent groups are still talking around this issue even if the models employed are diverse and the current language is ‘missional’. Throughout this period the predominant model has been congregational planting. Initially this was broadly successful both evangelistically and in the establishment of new groups, however in recent years this model has become much less effective. There are still great groups being established at a high cost to those taking part, however, I think our problem is that evangelism and real growth for the Kingdom of God is lessening as each stream or denomination focuses on planting it’s ‘brand’ in key locations already well served by similar expressions of Church. Group locates into new city or town, begins meetings, a great programme is set up. 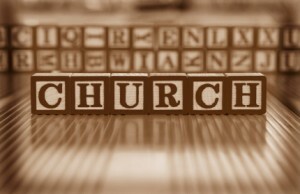 People are drawn from existing churches, a few people who are de churched return, a small number are converted initially. During this process existing Churches lose people, resources and suffer as a result. Some Churches actually shut permanently. When the statistics are compiled we realize that the real number of active Christians in the town or city have not increased, they have just been redistributed as people choose their Church around consumer values and not in line with missional commitments. Years go by and another ‘stream’ comes to the city and the whole thing happens over again. This scenario is being repeated again and again across our nation. I think the time has come to wake up and invest in fresh approaches to reaching our towns and cities. Approaches built on evangelism, breaking new ground, building discipling communities and cooperation and partnership between existing groups. ‘Brand planting’ needs to give way to ‘Mission Planting’, communities that begin with mission, clusters, projects, businesses, not for profits and people groups. It’s time to start thinking and acting out of our boxes. PSALM 103 COMES TO EARTH. Spontaneous prayer that happened to be recorded. Let’s embrace the cry of heaven. To see humanity filled with the light, the love and the Glory of God. Human beings in their right mind, cleansed of darkness, sin and brokenness, restored to the place they should be. Walking in the garden with the Father, enjoying fellowship with him, lives restored so they can be who they were intended to be. Connected, fulfilled. The hole that’s in their life that no one else can fill other than the Creator – filled. People released to be a celebration of their humanity, a celebration of who they are, who they were made to be. Church connected together in the presence of God, a strange parable. A parable of un answered questions. A parable of broken lives. A parable of great celebration, of forgiveness and healing received now. Of great triumph, a living party- such is Church. Many tensions yet the presence of God upon us. Both the glory and the shame all in one community. Capable of great acts of service, yet at the same time lacking in so many ways. A place for idealists and dreamers, a place for a very ‘real reality’. A place where Heaven touches earth. A place where we get so caught up with God’s forgiveness and Glory we think we are never going to come down. A place where we touch so much dirt we wonder whether we are ever going to see God again. Because there is so much pain, so much brokenness in people’s lives and that’s what the Gospel is for. We must not be ashamed of the tensions. We must not be disillusioned by the failures we will surely experience. We must not put down the gifts God has given us because it hasn’t worked. Because we will be criticised, we will fail and we will be persecuted, it’s a promise. It’s in the Bible. But there are also promises of great forgiveness, triumph and healing. Serving God is all about living in the tensions, walking with God day by day. It’s about the meals and the feasting. It’s about sitting with our friends, eating together, toasting the Lord. Chilling out and enjoying who we are, being who we are. It’s about exploring our gifts, serving and laying our lives down. Making our homes open places, having our lives invaded by the agendas of others. At times, when the last thing we would want to do is to lead a group of people, talk to another person or share our faith, we do it. Because we know Jesus has laid his life down far more and at a far greater level than ever we could. But it’s also about pulling to one side, putting our feet up and lighting a fire in the garden in the middle of winter. Sitting there all wrapped up, with a nice bottle of chilled chardonnay and some wicked seafood. Just sitting there with your partner, with your feet up. Looking at the fire, looking at the stars in the heavens. All that beautiful array. Just being thankful to God that we are alive. That we have been saved, that God is with us, God is journeying with us. http://revelation.org.uk/wp-content/uploads/2018/10/Revelationfamilylogo_side1-1030x130.jpg 0 0 Rex http://revelation.org.uk/wp-content/uploads/2018/10/Revelationfamilylogo_side1-1030x130.jpg Rex2011-08-12 11:33:182011-08-12 11:33:18Roger Blog: WHY?